The group set off at 8.30 from Allan’s place, with Nick driving the bus. (Thanks Nick for once again giving up Grand Final weekend to support the club.) Heather and Edena, Helen and Sally drove independently. Stephanie and Geoff had taken an extra day, and gone to St Arnaud on Thursday. Allan, who, along with Kelly, had planned the trip, was unable to attend. We kept him posted with regular Facebook updates. Kara Kara Winery was the first stop, which a pause to hear about the Goldfields wine district, check out the wines, and make a few discreet purchases. After a quick settle in at the St Arnaud Caravan Park, it was off to lunch. The bakery had run out of food, but the alternative, a newly opened cafe, The Dabbling Duck, was excellent. A 20km tour of St Arnaud, including the Wax Gardens, bush lookout, steam engine and Love Cottage (a National Trust property and the oldest miner’s hut still standing) gave the legs a stretch after the long bus ride. Some (your author included) whinged about the loose gravel, but the bushland and lookout were worth the angst. Early wildflowers were spotted by those ‘with eyes to see’ in the Wax Gardens. Dinner was at the St Arnaud Sportsman’s Club. 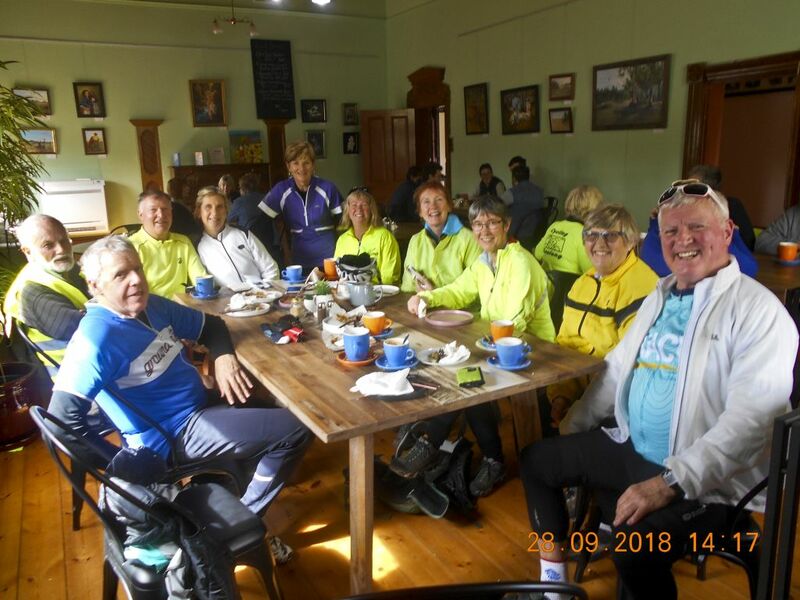 This entry was posted in Best Rides, Cycle touring, Cycling events, Goldfields tour, Ride reports and tagged Kara Kara Winery, St Arnaud, St Arnaud Caravan Park, St Arnaud Sportsman Club, St Arnaud Wax Gardens, The Dabbling Duck Cafe by hlyth2013. Bookmark the permalink.